Mega Brother Nagababu seems to have been using his social media platform quite sensibly. As of now, tore apart mega family's detractors more than like anything through sarcastic videos. And now, Nagababu suggests an important app to people for a social cause. 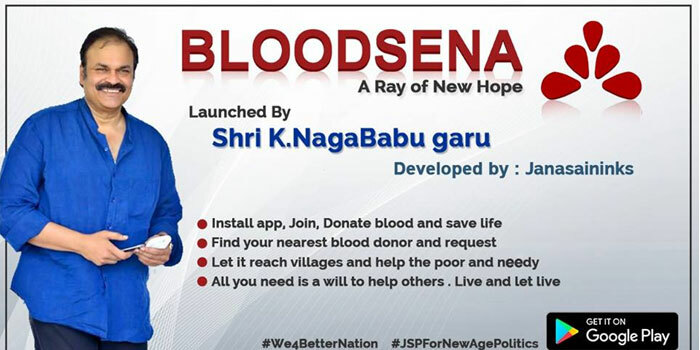 Nagababu launched an app named 'Bloodsena' developed by Janasainiks which is intended to collect blood from donors and to get it supplied to the needy. NTR More Loss Less Rifts! VVR Less Loss More Rifts?